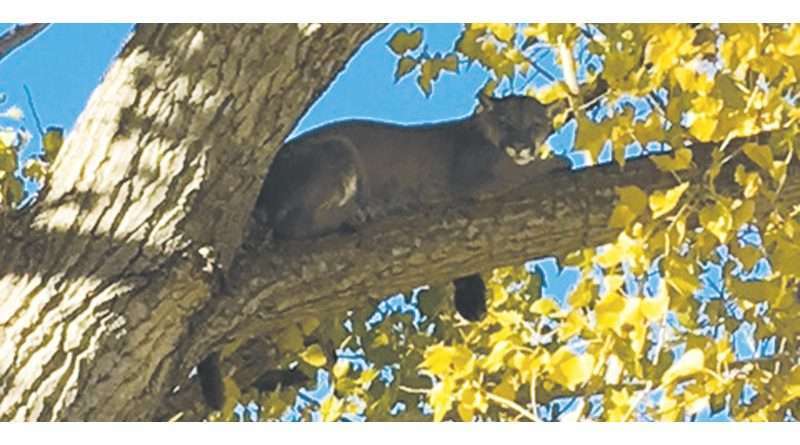 Two separate and apparently unrelated recent mountain lions sightings in the Susanville area have some residents on edge. Brian Ehler, a biologist with the California Department of Fish and Wildlife, said he was familiar with a sighting near the Susanville Rancheria, but he hadn’t heard about a second series of sightings near the Diamond Mountain Golf Course — including one in which a couple walking their dog came upon a protective lion eating a small fawn. 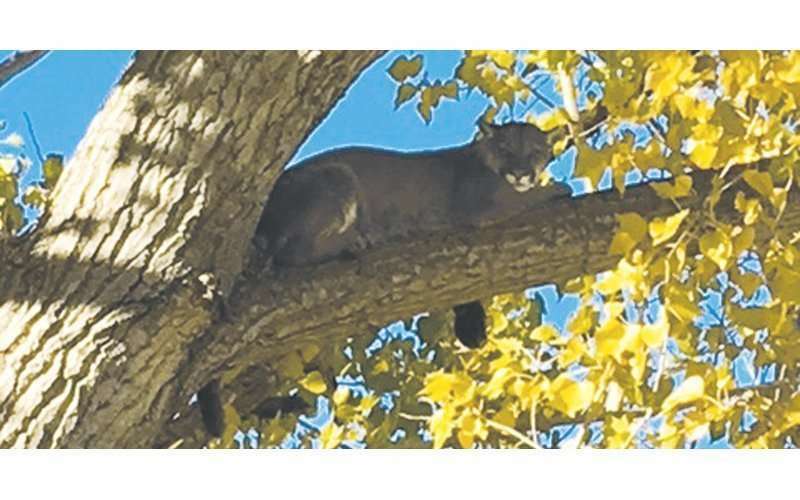 “The mountain lion encounter Friday, April 27, (near the Rancheria) was a sub adult lion and classified as a sighting,” Ehler said. “I am unfamiliar with the incident this past weekend (near the golf course), however, a mountain lion killing a deer would typically be classified as a sighting. Ehler offered the following information and advice to the public regarding the interaction between humans and the tawny felines. Potential human conflict: A mountain lion that is found in an unusual location and/or is demonstrating unusual behavior could reasonably be perceived as having potential to cause severe injury or death to humans creates a conflict. In such a case, residents are advised to call CDFW Wildlife Officer Todd Kinnard at 249-5603 or Ehler at 340-6808. Public safety: A mountain lion demonstrating aggressive action that has resulted in physical contact with a human, or a mountain lion exhibiting an immediate threat to public health and safety, given the totality of circumstances, could be considered a public safety threat. An immediate threat refers to a mountain lion that exhibits one or more aggressive behaviors toward a person that is not reasonably believed to be due to the presence of responders. Public safety threats include situations where a mountain lion remains a threat despite efforts to allow or encourage it through active means to leave the area. In this case, immediately call 911. If you are attacked, fight back. Sighting: An animal is seen by the public and is not displaying unusual behavior. In this case, call Ehler at 340-6808 to report the sighting. If you encounter a mountain lion, do not run; instead, face the animal, make noise and try to look bigger by waving your arms. Throw rocks or other objects and pick up small children. If you live in mountain lion habitat, CDFW recommends installing motion-activated lighting outside around the house and other buildings, trimming brush to reduce hiding places for mountain lions and feeding pets inside. Do not leave small children and pets outside unattended, and don’t allow pets outside at dawn, dusk or at night. Do not hike, bike or jog alone. Avoid hiking, biking or jogging at dawn, dusk or at night. Depredation: Mountain lion(s) immediately threatening to cause damage, in the act of causing damage, or has caused damage to private property may be subject to depredation. In this case, call Ehler at 340-6808 for a depredation permit to remove the mountain lion. All reported incidents; Depredation, sightings, potential human conflict and human safety are tracked by CDFW in an online database through the Wildlife Incident Report system. Ehler said mountain lions are classified into three age classes: Adult, sub adult (a mountain lion that appears nearly full-grown based on size, appearance and behavior. Sub-adults may travel with the mother, but are considered capable of surviving on their own in the absence of the mother), and dependent young (mountain lion kittens, cubs, or young that are considered dependent upon the mother for survival as evidenced by their size, appearance, behavior or the knowledge that the mother is/was lactating). I spotted a medium sized lion this morning 5/10/17 east of Brockman Slough, it crossed center rd heading north at approximately 0540. I lived in that area for over 20 years and there has always been a female out there. There is a den in the area, another by Shaffer mountain and two up Rice Canyon Rd. In my 34 years in Lassen County there has never been a problem and as long as people remember we moved into their territory and leave them alone there won’t be. We had a lot of problems with the coyotes during calving season though. My friend who lives in Wendel sighted a mountain lion after it killed her medium sized dog that challenged the cat on May 3rd.